Unfortunately, the Ku Klux Klan has been a thorn in America’s side for several decades now. Their angry white supremacist mentality is as dangerous now as it was back then. But the question remains… What if a black man somehow infiltrates the KKK. Dave Chappelle answered that with his Clayton Bigsby skit. However, little do people know that this happened in real life. No, not the part about a black man thinking he’s a white supremacist. A black man actually infiltrated the KKK. Seriously. That’s the premise of Spike Lee’s latest film BlacKkKlansman. Fortunately, the film is easily one of the best films in Spike Lee’s career. The film is absolutely hilarious. Yet it’s also a sobering reminder of today’s current political climate. BlacKkKlansman follows Ron Stallworth, one of Colorado Springs first black officers. 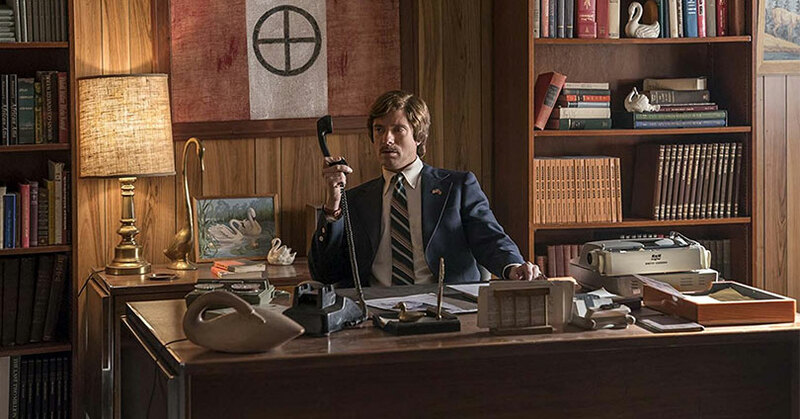 With one daring phone call, Stallworth put his foot into the door of the KKK. Now, he must team up with Flip Zimmerman to infiltrate and investigate their actions. Although Spike Lee has made some good films before, BlacKkKlansman feels more different than his previous films. Don’t get me wrong, a lot of Spike’s tropes are in there. At times, the film gets a little too preachy. This inevitably slows down the film to a crawl and drags on and on. At the same time, they need it to hammer home the seriousness of the subject matter. It’s a delicate balance but it all really depends on your perspective to what they’re preaching. Yet, as serious as the film is, the film is also hilarious. A certain Dave Chappelle character comes to mind when word got out about the premise of this film. Yet what transpires is just as ridiculous as Chappelle’s Clayton Bigsby skit. This is all thanks to the simple-mindedness of the KKK members. Except for one, the entire Colorado Springs chapter is oblivious to the fact that Ron Stallworth is actually black on the phone. Not to mention, their smug nature in thinking that they know what black people sound like is a laugh riot. These scenes are easily the funniest in the entire film. On the other hand, there is a sense of tension in the film for Ron’s partner, Flip. The members of the KKK are angry as they are dangerous. So there’s a feeling of uneasiness whenever there are hints of Flip being caught. Be that as it may, it’s weird to attach ourselves to a character without much development. But since this involves the KKK, we want Flip and Ron to succeed because we know what kind of people KKK members are. As interesting as this storyline is, the relationship between Ron and Patrice isn’t. The relationship between the two seems too forced for audiences to care about her. It’s a shame since she has such a strong presence to her. However, she does come off as hard-headed; unable to listen to reason. John David Washington excels as Ron Stallworth here. Although he’s known as the loud mouth, Ricky Jerret on “Ballers,” he is calm, smooth, suave, and crafty here. He seems to be a natural in this role. Adam Driver also does well as Flip Zimmerman. There’s a calm intensity to him that fits with his character in KKK. However, line delivery is very much like his other roles. It seems similar to any other role he’s in. As for Laura Harrier, she plays such a strong character here. She doesn’t take crap from anyone. With Topher Grace, it’s nice to see him play something totally different. You can kind of see a little bit of Eric Forman in his performance, but there’s a slight arrogant aspect to it too. Like he can be your friend, but he can also backstab you. 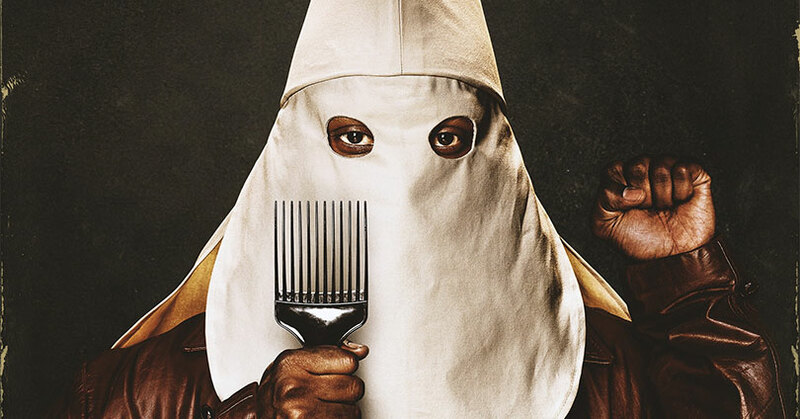 Overall, BlacKkKlansman is such a hilarious film. It’s so hilarious that it might cause tears to fall from all that laughter. However, don’t let that fool you. BlacKkKlansman is a very powerful film. You’ll laugh and then you’ll feel bad. It’s that type of film but it’s a necessary evil. Its message about racism then and its correlation to today’s events can’t be ignored. 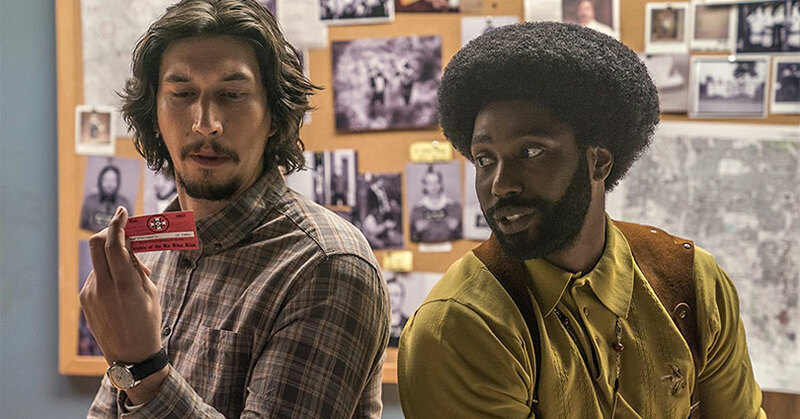 The post BlacKkKlansman Review appeared first on Nerd Reactor.